This is a bit of a delay in the project. I was set and ready to put the turbo back in tonight when I noticed the result of many many heat cycles on the frame next to where the turbo sits (not sure if the corrosion to the right is a result). 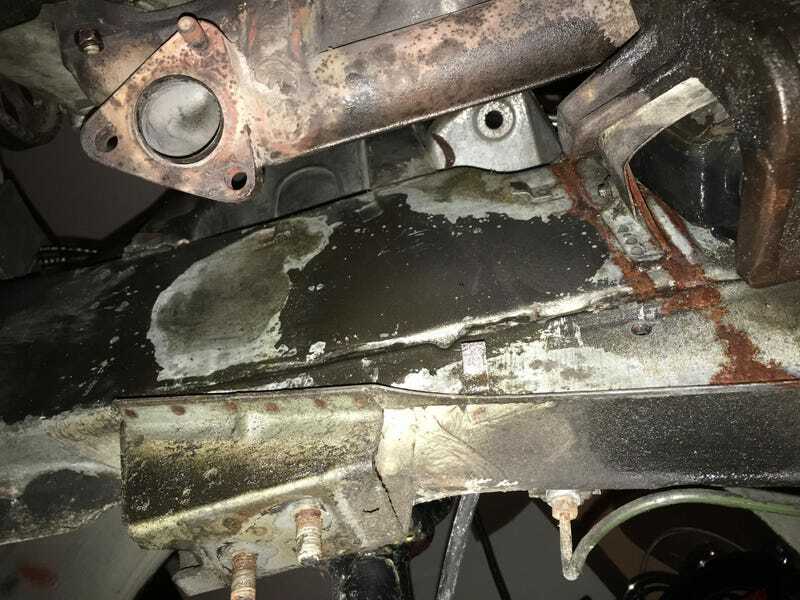 That rust isn’t too bad (perspective of a 30 year old Michigan car). Almost all of the galvanized protection is gone in this area (you can see clean and bare metal near the bottom. I applied rust converter to sit overnight; I can’t do much more than that with the engine in the car. My plan for this is to spray high temp paint over this part of the frame and hope it doesn’t get worse than this.